18 Million Rising (18MR) has done amazing work to to increase voter turnout amongst the Asian American Pacific Islander population. 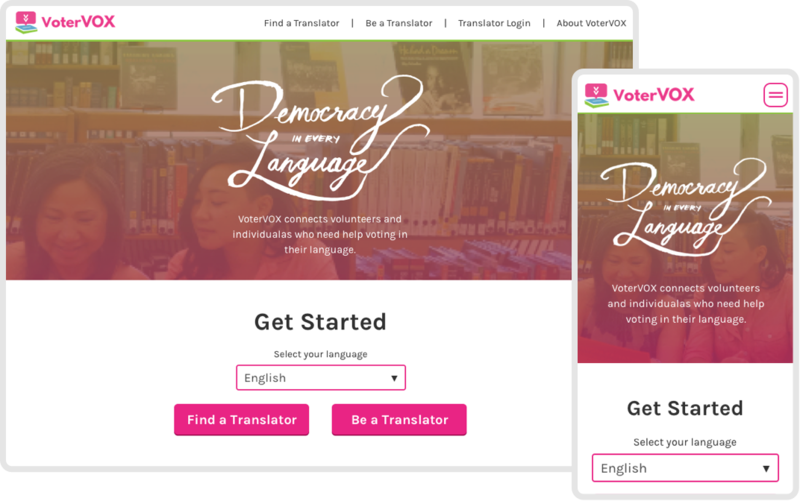 In the next phase of their work, they wanted to build an application to help limited English proficiency individuals get the information they need on whats not the ballot and how to vote in a language they can understand. 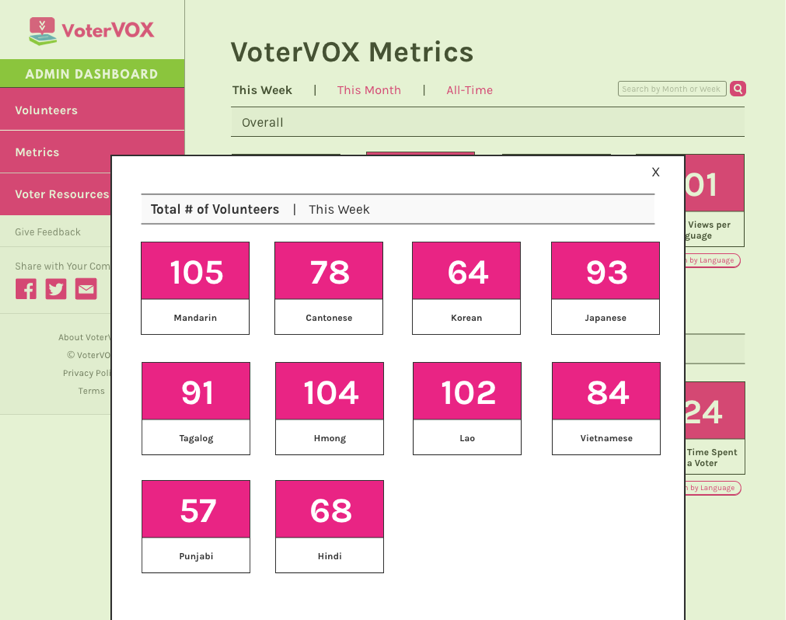 18MR reached out to use to design and build VoterVOX, a full voter turnout application in 1.5 months time, giving them enough time to launch and do outreach work around the application. 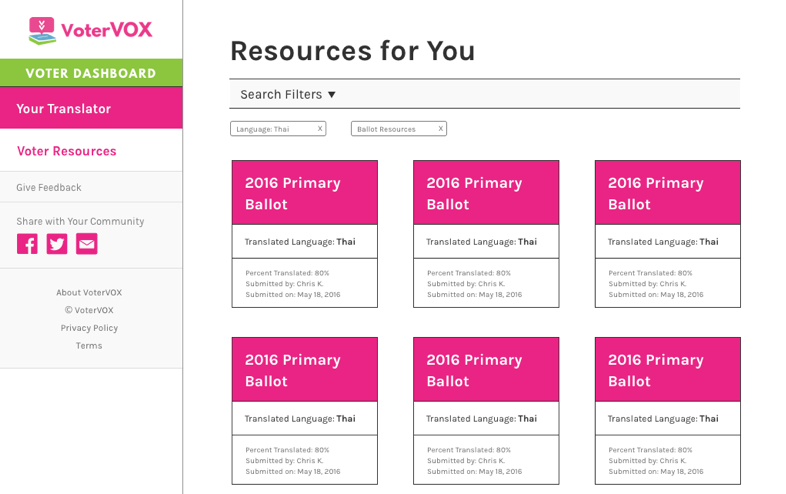 The goal of VoterVOX is simple enough – increase voter turnout amongst limited English proficiency populations. 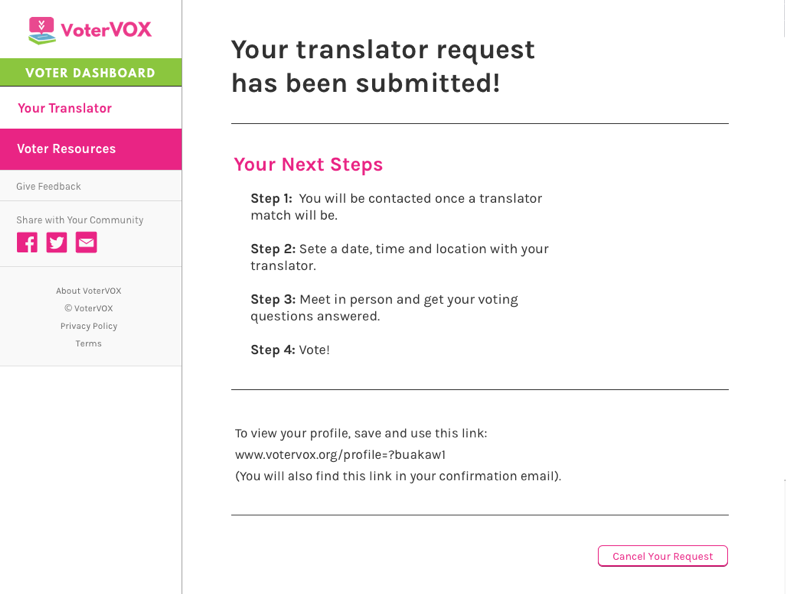 VoterVOX would 1). 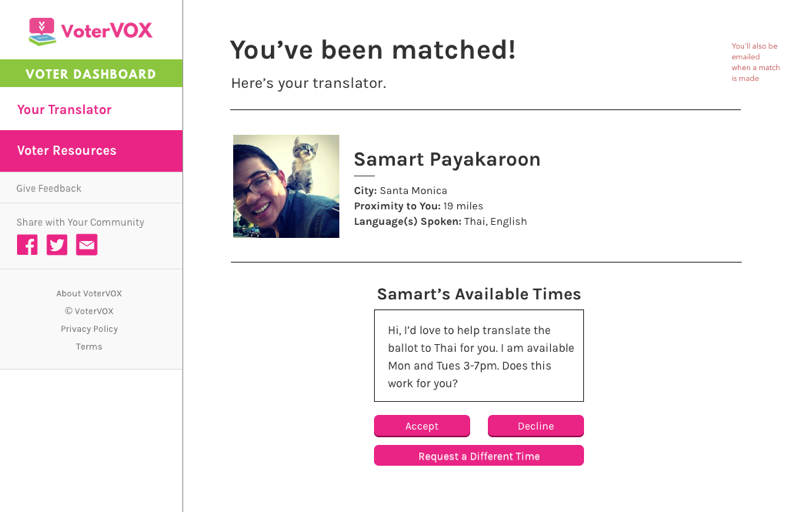 match potential voters with translation volunteers, 2) make it easier for limited English speaking individuals to better understand how to vote and what the issues are, and 3) upload translated documents so they can be accessible to everyone. The application needed to be desktop-, tablet-, and mobile-friendly, ensuring it could be used by anyone. 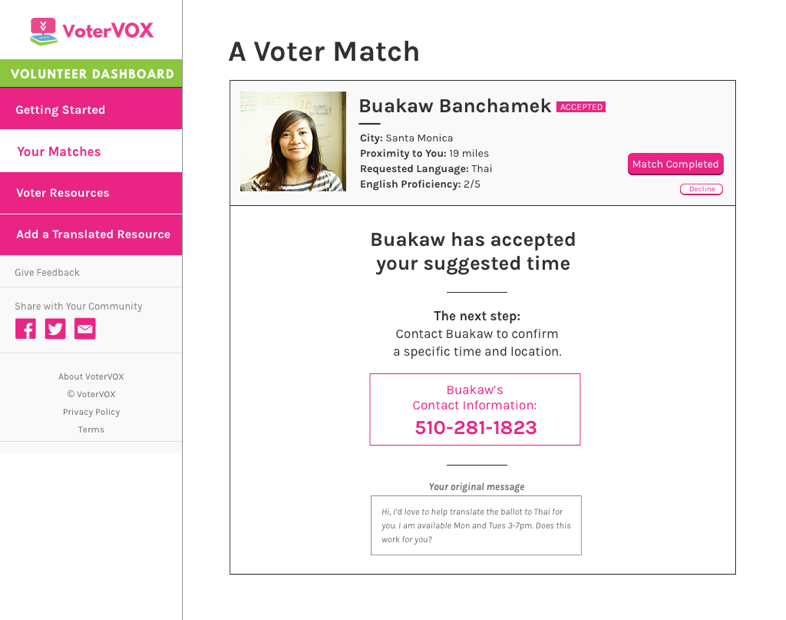 It was important that individuals could create accounts and profiles, so voters and volunteers could better keep track of who they were meeting and where. 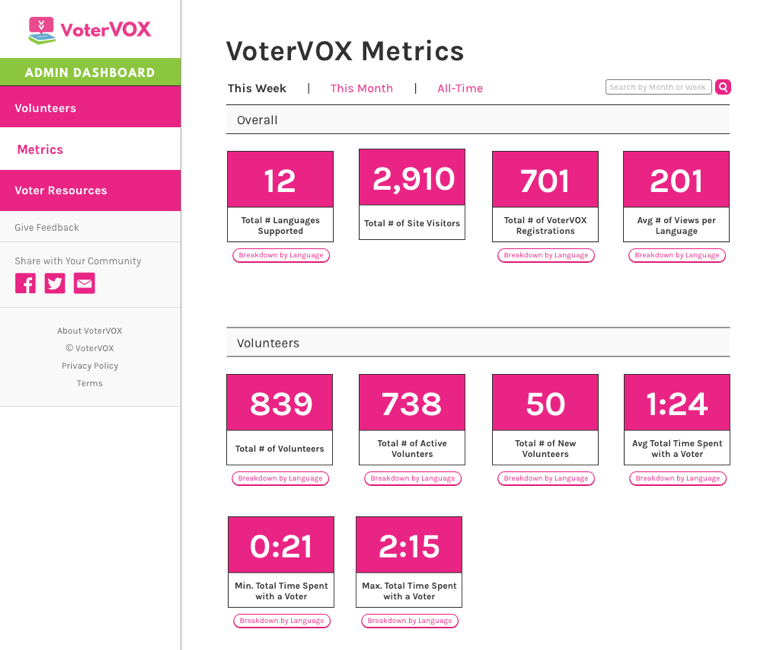 Once the application was built, we launched VoterVOX to 18MR’s user base. Name Email Organization Please describe what you'd like to work on together, or what goals you'd like our help to accomplish.